Several weeks ago my husband, baby and I were at a conference, and during one of the breaks, I noticed they had camel milk as one of the refreshments on hand (along with water, coffee, kombucha, and paleo snacks). I was slightly taken aback, as I can count on one hand the number of actual camels I’ve seen in my lifetime (only at the zoo), and the thought of drinking camel milk had never crossed my mind before seeing the bottles they had at the refreshment stand that day. So of course, I had to research it to find out about any potential health benefits. And what I found out is VERY interesting! 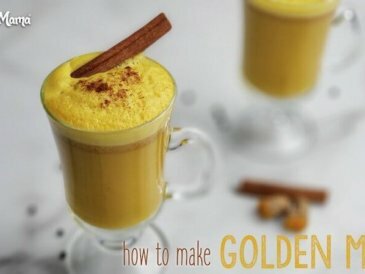 Camel milk is unique in its potential ability to help with allergies and autism, to mitigate autoimmune disease and diabetes and for heart and immune health. It has even been used around the world as a supplement to breastmilk! I thought so too, but it turns out that the milk from a camel is an entirely different animal (pun intended) than milk from a cow or a goat. Cows, goats and other similar animals are hoofed animals. Camels have toes (only two, made of a single bone) and both their foot structure and the proteins in their milk are dramatically different than milk from hoofed animals. To make things slightly more confusing, camels ruminate but are not considered ruminants. As unique as camels are, their milk is even more so. What Makes Camel Milk Different? I started researching this and was absolutely fascinated by the research on camel milk and how it is different from other types of milk. For one thing, camel milk does not contain the same proteins that people are often allergic to in cow’s milk. 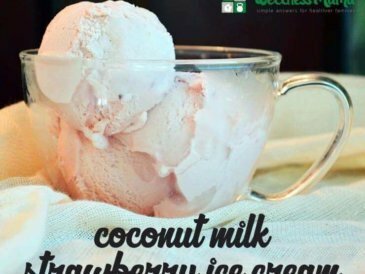 It does not contain A1 casein and lactoglobulin and is usually well tolerated by those with dairy allergies. Gram for gram, it has about the same amount of protein and carbohydrates as regular cows milk, but impacts blood sugar differently. This is one area where camel and cow milk differ greatly. Camels produce milk that is naturally low in fat (only 2-3%). Also unlike cow milk, the fats produced by camels in their milk are completely homogenized naturally occurring Omega-3 fatty acids. This means that camel milk can be frozen and thawed without changing consistency. It also will not curdle or clot like cows milk. Camels produce a very unique milk that has some rare beneficial properties. For one thing, it is high in potent immunoglobulins, powerful immune-boosting substances. The immunoglobulins in camel milk are smaller than human immunoglobulins and can more easily pass into tissues in the body. Researchers still don’t completely understand why, but these tiny immunoglobulins may be the reason for camel milk’s popularity in helping lessen problems like autoimmune disease, allergies and even autism. This milk is also high in insulin, which improves its absorption and makes it suitable for diabetics. Research has also found protective proteins in camel’s milk that may be antiviral, anti fungal and antibacterial. Though it isn’t a spectacular source, it also contains much more iron and vitamin c than cow’s milk. Camel milk is nutritionally more similar to human breastmilk than to regular dairy milk. For this reason, it has been used around the world as a supplement or replacement for breast milk in cases when mom was unable to nurse or baby needed extra milk. Consider the natural habitat of camels. They survive with relatively little water and plant life for long periods of time. For this reason, camels need much less grazing area and can produce milk with a lower environmental impact. While the idea of drinking milk from a camel may seem strange to those of us who grew up in the west, cultures around the world have consumed it for thousands of years. Camels are important to various cultures, especially in the middle east, for their ability to survive and even travel long distances with very little water. Camels can thrive even in areas where horses and cows would have trouble surviving at all. These unique properties of camels make their milk beneficial to humans in several ways. In researching, I was amazed at the initial studies and anecdotal reports from people who had seen near miraculous recoveries with camel milk. The same review article, published in the Emirates Journal of Food and Agriculture, entitled Therapeutic Potential of Camel Milk, by researchers from India’s Birla Institute of Technology and Science Pilani, notes that there are also much lower rates of diabetes in areas where camel milk is a staple. Another 2005 study out of India looked at camel dairy and its effects on Type 1 diabetes. This study found that regular consumption of camel milk reduced the amount of insulin needed and improved long-term blood sugar control. Camel’s milk contains many of the same immune-protecting substances as human milk. 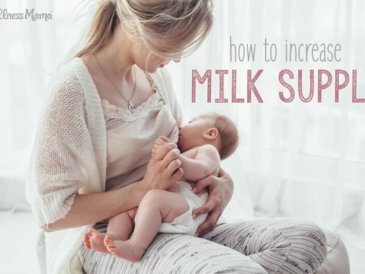 It can be an effective supplement to breastmilk for this reason. It contains high levels of immunoglobulin A and beneficial enzymes like lysozyme and lactoperoxidase, which are helpful to the body in fighting infection. 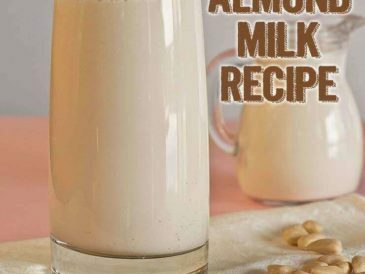 Perhaps the most notable potential benefit of this unique milk is its effect in those with allergies. Not only is it considered a good dairy alternative for allergic individuals, but there is some research indicating that it may actually help reverse allergies. As I mentioned, this milk lacks A1 casein and lactoglobulin present in cow’s milk that often cause allergic reactions. There have also been studies showing that camel milk may even reduce allergies due to its immune benefits. In fact, one 2005 study in the Journal of the Israel Medical Association investigated the effects of camel milk on children with severe allergies who didn’t respond to other treatments. Researchers had these children consume camel milk under the care of their medical team. They observed the results, which were even more astounding than expected. Amazingly, all of the children recovered from their allergies according to the reports in the study. Additional study is needed, but the researchers in that study claimed that camel milk was more effective than medical treatments in those particular cases with no observed side effects. This shows a tremendous potential as a hope for those struggling with life threatening allergies. Other research indicates that the unique fatty acid profile in milk from camels is more beneficial to the heart and to maintaining healthy cholesterol levels. 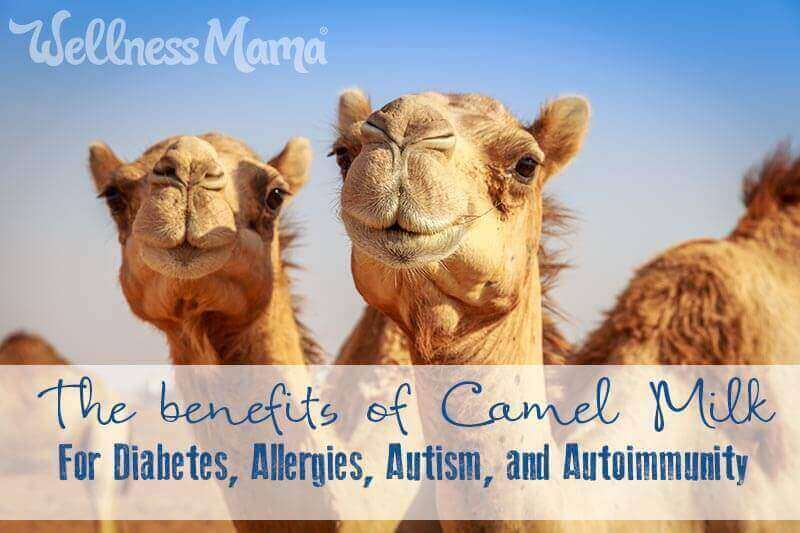 There is a great deal of anecdotal evidence and stories from people who have used camel dairy in cases of autism. This article delves into the potential ways that camel dairy products may help against autism. In short, some researchers believe that autism is similar to autoimmune disease in that the body attacks its own healthy cells. Whatever the cause, there are many anecdotal accounts of recovery and entire online groups dedicated to its use. “Dr. Jodie Dashore, a mom and doctor, heard about the milk from Dr. Dietrich Klinghardt, a highly regarded neurobiologist who treated her son Brian’s autism. In 2011, when Brian started consuming camel milk, his motor tics initially became three or four times worse—a “healing crisis,” Dashore says, as the milk killed off harmful bacteria. But after two weeks, they started to drop off. The milk also seemed to clear up a host of Brian’s other maladies, from hives to mobility difficulties, caused by an autoimmune disorder (most autism patients have other simultaneous ailments according to the U.S. Centers for Disease Control and Prevention). It also eased Brian’s digestive pains and helped him gain weight, common issues in autistic children. Of course, much more research is needed to understand the way that camel dairy products may help with autism, but the initial evidence is definitely encouraging. As mentioned, there are researchers that believe that autism is similar to autoimmune disease. This connection may also be why some people have seen improvement from autoimmunity with camel milk. It is generally understood that autoimmune disease is a scenario in which the immune system mistakenly attacks part of the body, thinking that healthy cells are foreign or harmful antigens. Conventional treatments for autoimmune disease often include immune-suppressing drugs that have substantial side effects. Camel dairy, on the other hand, contains those potent but tiny immunoglobulins that may penetrate cells and help improve the immune system while targeting only harmful antigens. In fact, Dr. Reuven Yagil, an Israeli physiology professor who is considered an expert on Camel milk and its benefits, explains that in his years of research he has seen patients control or even reverse autoimmune disease with camel milk. On a personal note, this was how I found research on the benefits of camel milk and I am personally testing it for my own Hashimotos (I’ll update with results). Risks and Dangers of Camel Milk? Often, something that seems too good to be true really is. In this case, I’m yet to find the downside. As I said, more research is needed, but I couldn’t find any downsides of drinking this unusual milk. In fact, I didn’t find any cases of allergic reactions or harmful side effects. 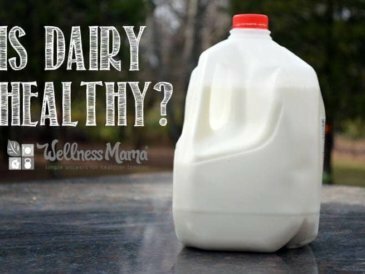 In my limited personal testing I haven’t noticed any negative effects, even though I often react to regular dairy. The one downside, unfortunately, is the price. As you may imagine, camel dairies are not very popular in this part of the world, and limited access means higher cost. You won’t find camel milk on the dairy aisle of a regular grocery store. Some health food stores are starting to carry it, but it can be difficult to find a good source. Since this milk is not from a hoofed animal, it isn’t regulated by the same laws, and it is available online and can be shipped in many places. The best (and least expensive) source I’ve found for camel milk is the Desert Farms brand that is available for shipping anywhere in the continental US and Canada. In fact, after researching camel milk and where to purchase it, I negotiated a 15% discount from them (code: MAMACAMEL) and am personally testing this for my own autoimmune disease. A friend is also testing for her child with severe allergies. I found the taste closest to cows milk of any alternative milk I’ve tried. It is a little sweeter but not overly earthy or grassy like stronger flavored goat milk. 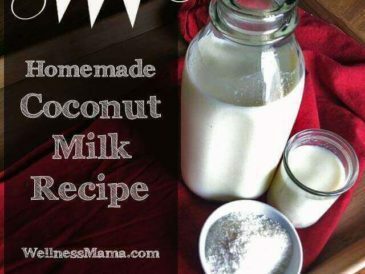 My kids all liked it, even the ones who don’t prefer coconut or almond milk. If you are curious and would like to try camel milk, Desert Farms has offered to send you four bottles for free! You simply pay the shipping and handling fee. Find their free offer here. This “new” milk to us in the western world has been used for thousands of years in other parts of the world. Camels are unique animals and even more unique milk that may have benefits for diabetics, autistic patients, those with autoimmune disease and in immune health. I was also unable to find any negative side effects of camel milk (other than the price) and am willing to become my own guinea pig to test its benefits (or lack thereof). Your turn! Have you ever heard of camel milk? Grossed out or intrigued?